The mission of the Mississippi Hispanic Association is to encourage, support and promote cultural, educational and community service activities in order to facilitate the integration of Hispanics into the state’s mainstream. Additionally, MHA also aims to awaken concern and interest for the history, traditions and current issues regarding the Hispanic community in Mississippi. Early in 1993, Esperanza Velásquez and Elsa Baughman began discussions concerning the formation of a club or organization for the purpose of uniting all Hispanics residing in Mississippi. The first meeting, named the “Encuentro,” took place at Fernando’s Restaurant on May 23, 1993 and approximately 60 people attended and responded to a questionnaire whose results indicated a unanimous consensus that the creation of such an organization was a necessity. It was not until October of 1995 that serious discussions pertaining to the structure of such an association began—particularly the formation of a Board of Directors as well as the objective detailed below. On January 2, 1996, Esperanza Velásquez met with lawyer Merida Coxwell in order to finalize the by-laws by which the Mississippi Hispanic Association (MHA) was to abide by. On January 31, 1996, Mr. Coxwell’s secretary read the minutes of incorporation to the MHA Board of Directors–all of whom agreed to contribute a sum of $30 each to cover the incorporation fee. Mr. Coxwell presented the petition before the Secretary of State’s office in order to ensure that the Association be incorporated in accordance with the laws of the State of Mississippi. The petition was registered under Section 79-11-137, Code 1972. On February 3, 1996, the Association solicited a request for tax exemption, and five months later, the request was granted https://cheapnolvadexpct.com temporary status under Section 509(a)(2) of the Internal Revenue Service. This temporary status lasted from January 3, 1996 to December 31, 2000. The association has had permanent status as a non-profit organization since April 4, 2001. To obtain the administrative rights of the “Festival Latino” and to continue its annual organization in order to celebrate Hispanic Heritage Month, which is observed nationally from September 15 to October 15. The first “Festival Latino” (9/17/1995) was organized in a conjunctive effort between the Catholic Diocese of Jackson and the Methodist Church of Mississippi, along with representatives from 17 Latin American countries. To create the “Gaceta Hispana”, an informative publication in Spanish for the Hispanic community of Mississippi. To educate the general public about the presence of the Hispanic community in Mississippi. To promote, sponsor, and offer activities and social service programs for the Hispanic community. To offer and/or sponsor social activities which help Hispanics integrate into American society. To promote education for Hispanics by defending and interceding on their behalf before the state and federal government. To create future programs and activities of a social, educational, and cultural nature which require the guidance and supervision of a non-profit organization. The purpose of the Board of Directors is to guide and uphold the mission of the Mississippi Hispanic Association (MHA) and to strengthen the capacity of the individuals and volunteers to serve the Hispanic www.buyamoxil-amoxicillin.com community through the MHA. Board members server a three (3) year rotating term and meet five (5) times per year. The annual meeting is held on the last Saturday in May. 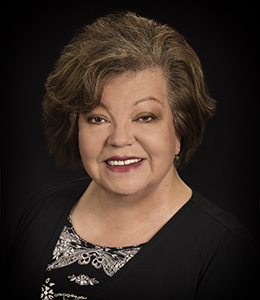 As co-founder of the Mississippi Hispanic Association (MHA), Mrs. Velásquez served as the first MHA president and a Board Member for five years (1995-2000). Mrs. Velásquez currently serves as Chair of the Board and as fund-raiser for the “Run to the Latin Beat” 5K 2016. 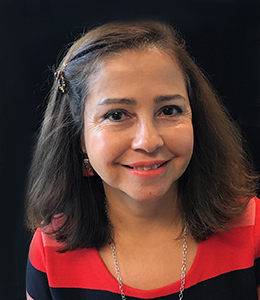 Mrs. Velásquez is from Colombia, South America, where she attained a Bachelor’s degree in Languages, emphasis in Spanish, and taught Spanish for many years before she moved to Mississippi in 1982. 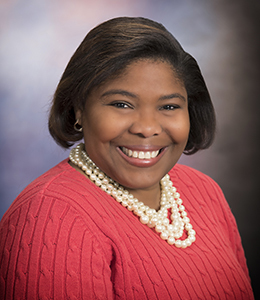 She has an Associate’s degree from Hinds Community College (HCC) in Programming and Data Processing; a Master’s degree from Jackson State University (JSU) in Education, emphasis in Spanish; and is currently pursuing a doctorate degree at JSU in Early Childhood Education, emphasis in reading. 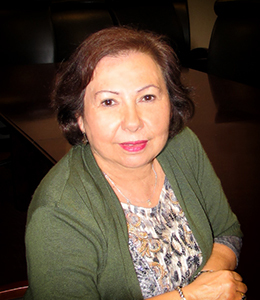 Mrs. Velásquez taught at HCC from 1987 to 1993 as an adjunct instructor. In 1987, she became the first director of the Foreign Language Center at JSU. Since 1993, Mrs. Velásquez has been a Spanish instructor at JSU. Mrs. Velásquez is married, has three daughters and four granddaughters. She draws from her experience and the knowledge she has gained as an immigrant to contribute to the well-being of the Hispanic community in Mississippi. Mrs. Velásquez strongly argues that “education is the most effective tool by which to climb the social, economic, and political ladder, especially for us immigrants.” On October 23, 2005, Mrs. Velásquez was presented with the “Woman of the Year” award by the Minority and Small Business Development Division for her dedication to the community. 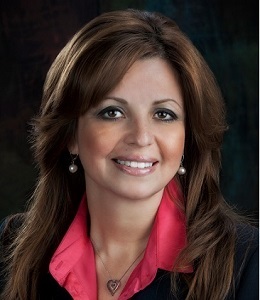 Elsa Baughman, a co-founder of the Mississippi Hispanic Association, is currently the secretary of MHA. She was born in Venezuela and has been living in the United States since 1976. She received a master’s degree in Mass Communication from the University of Southern Mississippi and a B.A. in journalism from the University of Zulia in Venezuela. Currently she works as Spanish editor of Mississippi Catholic, the newspaper of the Catholic Diocese of Jackson where she began working in 1996. She also is a freelance interpreter and translator for several national companies. She is married and has two daughters. 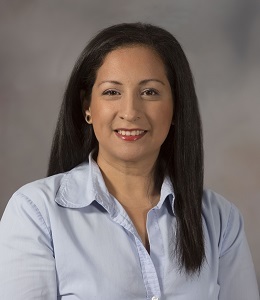 Victoria has been a member of the Mississippi Hispanic Association since its beginning and has served in various positions including President, Children Activities Coordinator for the Festival Latino, and dancer and choreographer of the Association’s folkloric group. She was born in the Republic of Panama and has been living in Mississippi for over 20 years. She is a Spanish teacher in Jackson Public Schools and an Adjunct Professor of Spanish at Jackson State University. Victoria graduated from Jackson State University in 1997 with a B.S. in Psychology and a minor in Foreign Languages and in 2001 with an MS.Ed in Secondary Education with a concentration in Spanish. She also has an ESL Certification from Mississippi College. Alejandro joined the MHA in 2011. He was born in Mexico City, Mexico and he has been living in Mississippi since 2008. He earned his degrees as a Doctor of Veterinary Medicine and Master in Veterinary Sciences from the National Autonomous University of Mexico (UNAM), and his Ph.D. in medical microbiology from the University of Georgia. 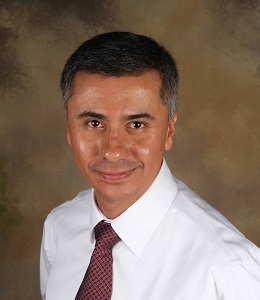 Currently, Alejandro holds a position as a professor at Mississippi State University. Karla is currently the Vice-president of MHA and has been a member of the Association since 2010. She was born in Manta, Ecuador and moved to the United States in 2000. She serves as an Associate HR Service Partner at the Office of International Services with the University of Mississippi Medical Center. She received a B.A. in Homeland Security Studies from Tulane University. Marta Charria is currently the treasurer for the Mississippi Hispanic Association. She works for the Mississippi Department of Transportation (MDOT) as a Civil Engineer since 2001. She is originally from Colombia, South America and has been living in the United States since 1998. Angela has been a member of the MHA since its inception and has been fundamental in the branding of MHA. In previous years, Angela has been responsible for MHA’s Public Relations and has worked as the Arts & Crafts Director for various events and past Festivals Latino. Currently, Angela is the Event Director for the upcoming 5K scheduled for September 2016. Angela was born in Colombia and has been living in Mississippi since the age of eight. She graduated from Mississippi State University in 2000 with a B.S. in Fine Arts emphasis in Graphic Design. Currently, Angela is the Creative Marketing Specialist at Southern Farm Bureau Life Insurance Company®. Jeffrey is responsible for administration of the MHA website. 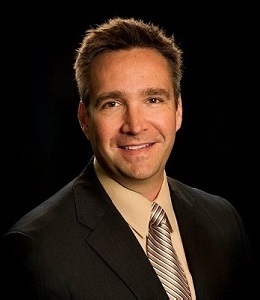 He is a 1996 graduate of Mississippi State University with a B.S. in Civil Engineering. He has been working for Michael Baker International for almost 20 years and is currently the Senior Bridge Engineer in the Ridgeland, MS office. He is married to Angela McRae and they have two daughters, Sofia and Lucia.